WIth some camps having sold out and with others close to capicity, the start of this years summer camps has been fantastic! With 3 indoor camps and 1 outdoor camp coming up July 21-25 and two more indoor camps July 28-Aug 1, there is still time to register and enjoy a week of fun-filled volleyball activities. For quick and easy registration please go to our Registration page. Maverick Volleyball Camps accommodate beginners, intermediates and advanced players from grades 4 and up. Available locations for the next two weeks include Orleans (St. Peter's HS), Nepean (Franco Ouest) , Alta Vista Dr. (St. Patrick's), and a Beach Camp at Louis Riel (Blackburn Hamlet). 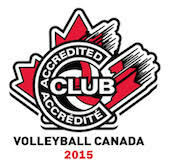 We are also offering a more Advanced Elite Camp at Franco Ouest Aug 5-8. This Camp is for competitive athletes (girls and boys) born in 1998 and 1999. Registration is open for competitive club and experienced high school athletes only.